The £15 billion Crossrail programme is reaching the final stages of testing with the planned opening of passenger service on the central section on the Elizabeth Line in the autumn of next year. The business case for the programme envisages benefits of £42billion, and some 10% of journeys made on the underground will involve the Elizabeth line. Journey times across London will be substantially reduced. 42 km of 7 meter diameter tunnel beneath the existing London substructures has been successfully completed, and construction of the 7 new subsurface stations to depths of up to 40 metres is entering the final stages fit out. 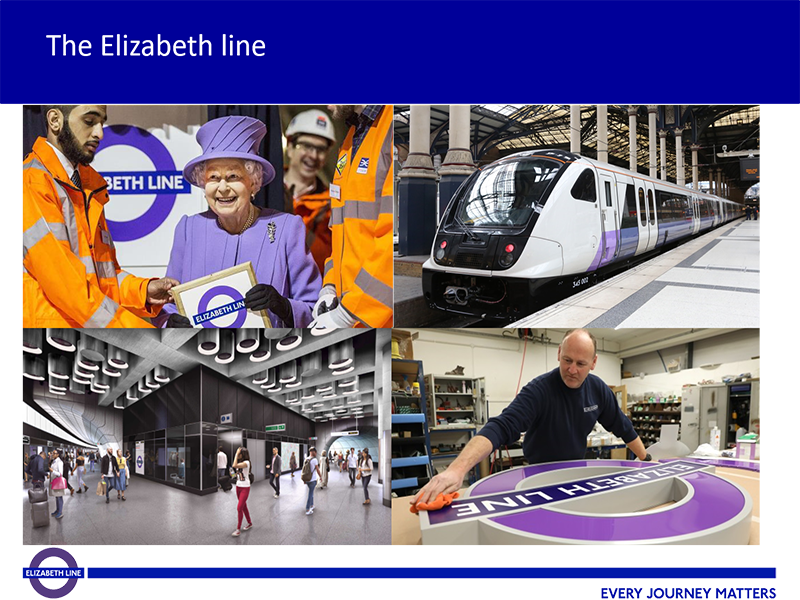 This presentation describes the Crossrail programme and its benefits for London, setting out the engineering processes employed in delivering and assuring a fully integrated railway system for the Elizabeth Line which will enable these benefits to be delivered. Refreshments will be available from 17:30 in the lobby of the Stephenson Building. John is a civil engineer who has been primarily involved with design and assurance of railway projects for the past 17 years. He has been seconded to Crossrail as part of the Transcend programme partner team for the past 7 years in the role of Head of Technical Assurance, where he has worked closely with the Elizabeth Line’s infrastructure managers Rail for London, London Underground and Network Rail to develop a satisfactory assurance case for presentation to the Office of the Road and Rail Regulator. Prior to secondment to Crossrail, he led AECOM’s engineering infrastructure business in the South East, leading the GRIP 4 design of the On Network Crossrail West Stations project for Client Network Rail, and the design of the upgrade to the Neasden London Underground Depot.